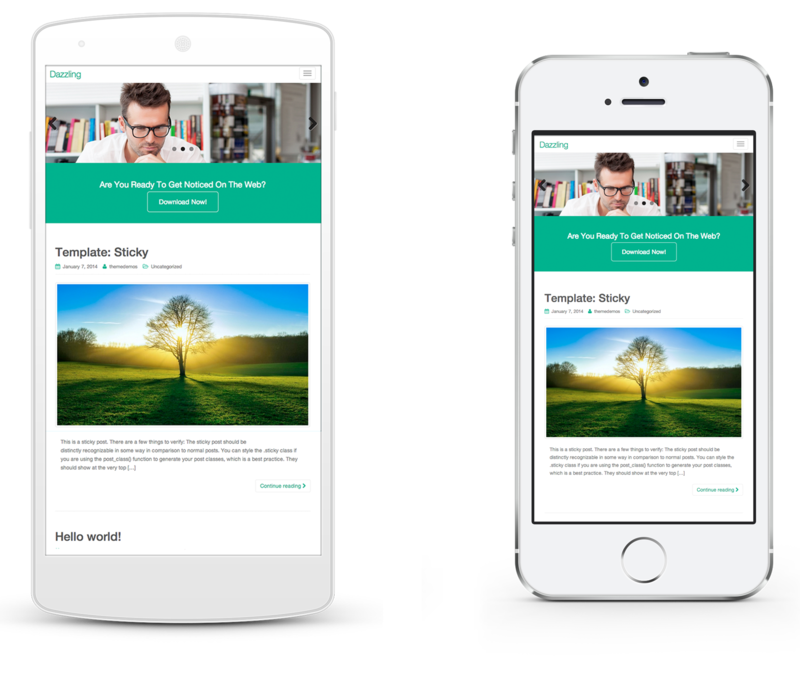 Theme is designed and developer using Bootstrap 3 framework which makes it fully responsive and optimized for all mobile devices such as iPad, iPhone, Android and WindowsPhone and other. Razor sharp text, vibrant colors, awesome graphics, sharp images, premium feel and beautiful icons on HiDPI (Retina) displays. This theme features built in theme options for additional customization. You can edit footer copyright information, change element color, setup slider, change fonts and much more. 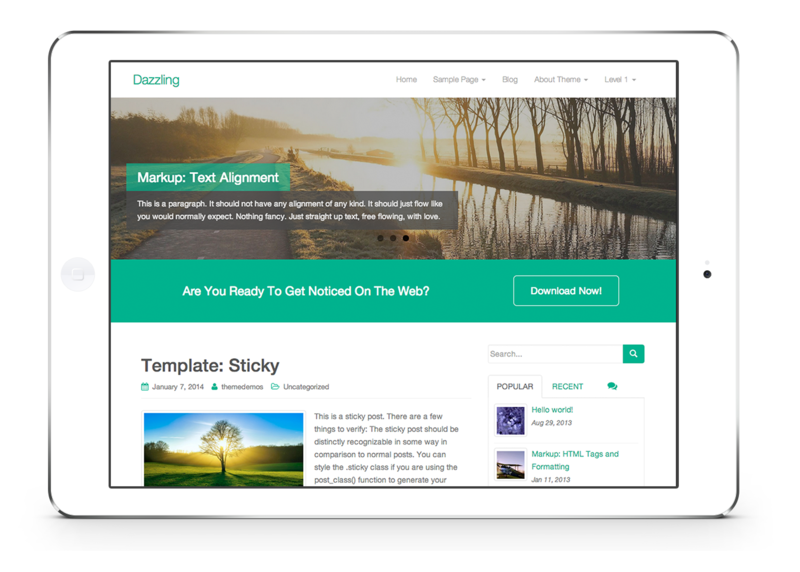 Dazzling theme supports Infinite Scroll which is powered by Jetpack plugin. For more information, please see theme documentation. This theme supports most if not all free and premium WordPress plugins. We did extra optimization for most popular plugins such as Contact Form 7, WordPress SEO Plugin, Jetpack and more plugin integration to follow. WooCommerce is no longer a premium theme feature and you can get it now for free. Theme is translation and multilingual ready. More information is available on how to translate WordPress themes. We would really appreciate if you could help with translation in your language. We have covered the most important function on the detailed Theme instructions page that you can find here. Added support for WPML multilingual plugin. Social icons now opens in a new tab. Added different content width for Full-width template for plugins that depends on it to work properly. 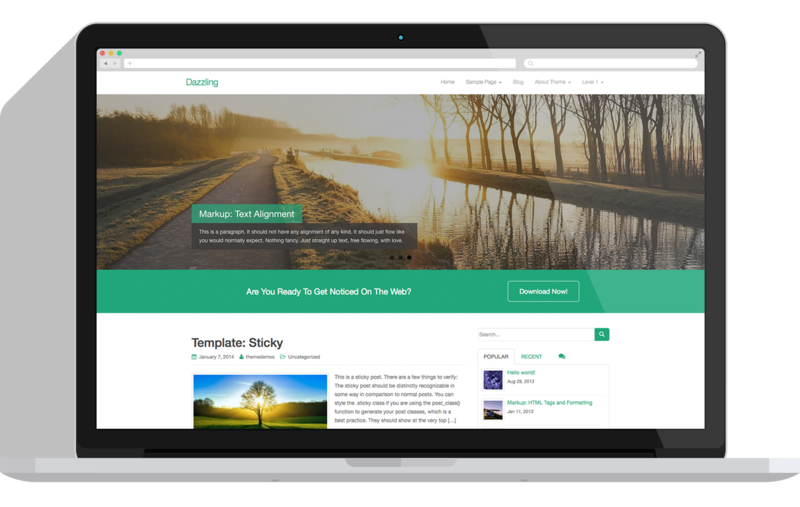 Improved Flexslider to make it compatible with other Flexslider powered plugins such as Visual Composer. Created more consistent code on options.php for Options Framework. Made necessary changes to pass W3 validation without any errors.